The main 85km race will start at Amalienstein, 25km from Ladismith, on Route 62 en route to Oudtshoorn (east). 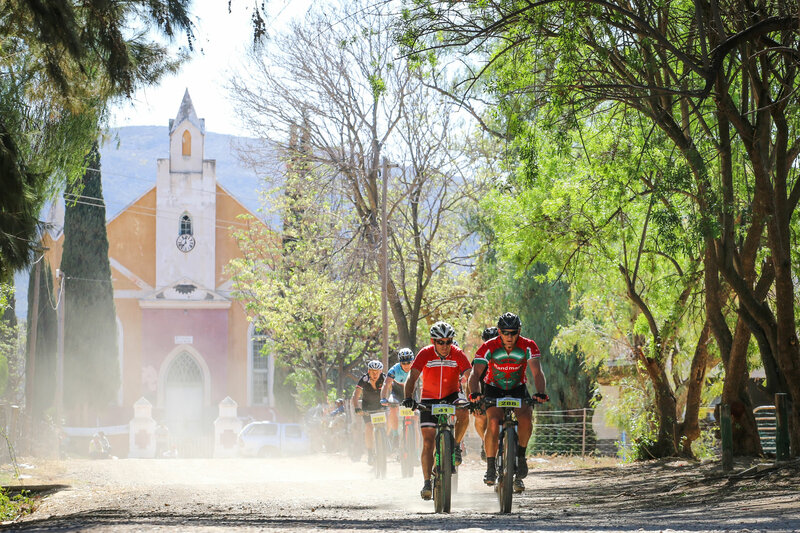 From the start in front of the old Lutheran Church, participants in the 85km Challenge will first traverse the orchards of Amalienstein Farm before joining the gravel road through Seweweekspoort, while riders in the 29km and 43km races will also get a glimpse of the poort before joining riders of the 29km race on the way home. station will refresh riders on their arrival back at the start. From here, participants in the 85km Challenge will follow the same route as the 29km Mini Challenge. From Amalienstein, riders will follow a foot path to Zoar before crossing the R62 main route to Oudtshoorn. From here, single track, jeep track and gravel roads will take participants through fruit farms in the magnificent Hoeko valley and across the Spera farm to join the Hoeko road via Knuyswagendrift to Ladismith. Refreshment points will be stationed just beyond Spera and in Knuyswagendrift. The 43km race, added in 2010, attracted well over 500 riders extra last year. 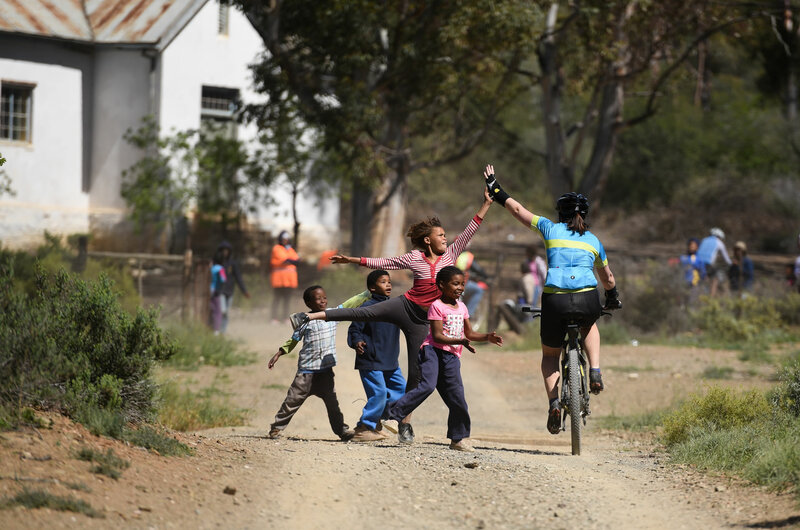 The route also has its first few kilometres in the Poort, before hitting some sweet single track on its way back to Amalienstein. It is not overly technical, and riders might only have to get off their bikes once, for a small portage of about 20 meters. The last 25km follows the same course as the short race. 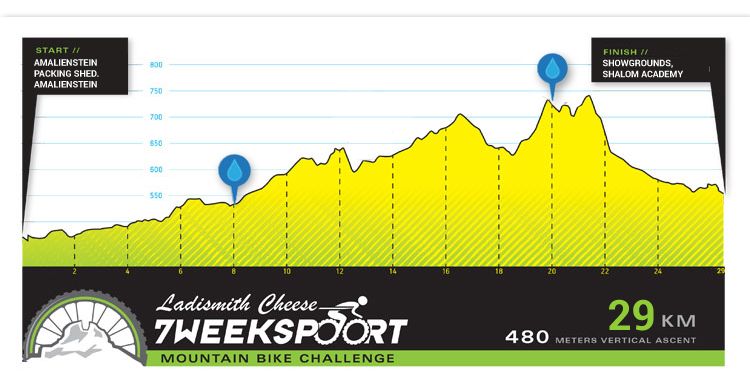 The first part of the route through Seweweekspoort is 29km long, and riders will climb approximately 600 metres. 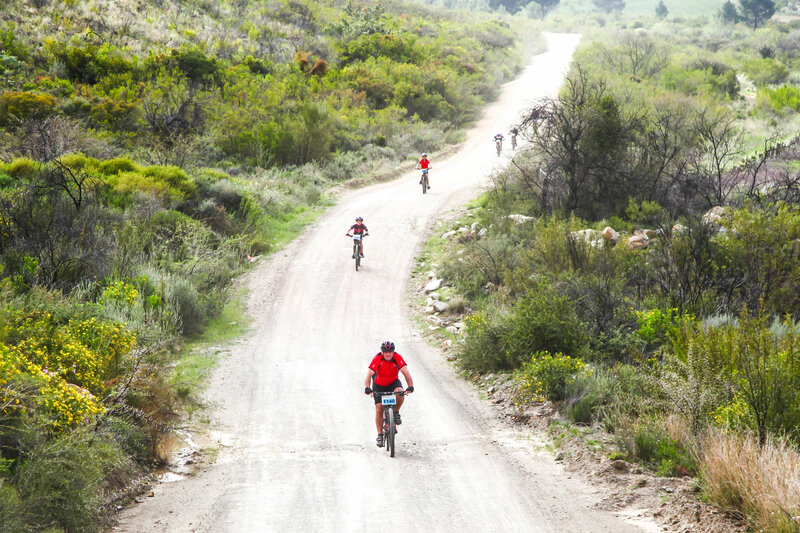 The second ‘stage’, back through Seweweekspoort, is therefore downhill and particularly exhilarating. The third section, which is the same route as the 29km Mini-Challenge, is by no means an easy ride! Riders will cross a few streams (the water level will depend on the rainfall at the time) and there is some single track. Blacktop is limited to a single 2km stretch in the Hoeko valley. The most strenuous up-hills are encountered in the last 10 km before the finish line. There are no technical sections, and all dangerous areas will be clearly marked and flagged! To accommodate the expected number of participants, parking has been moved to the fruit drying grounds (vrugte-droogbane) of Amalienstein. This is a secure area, and parking attendants will help you find a parking spot and look after your vehicle. Late registration and an information desk will be located at the fruit packing shed next door, where ablution facilities will also be available. Late registration will be accepted until 07h00 on the race morning. Please come early, as you will be able to register and from 05h30 at the start on Saturday morning. Please note that no participant vehicles will be allowed to enter the Amalienstein settlement or the grounds of the fruit packing shed. Please follow the directions to the parking area or ask an official for help. Spectators are requested to use the same route as the participants.